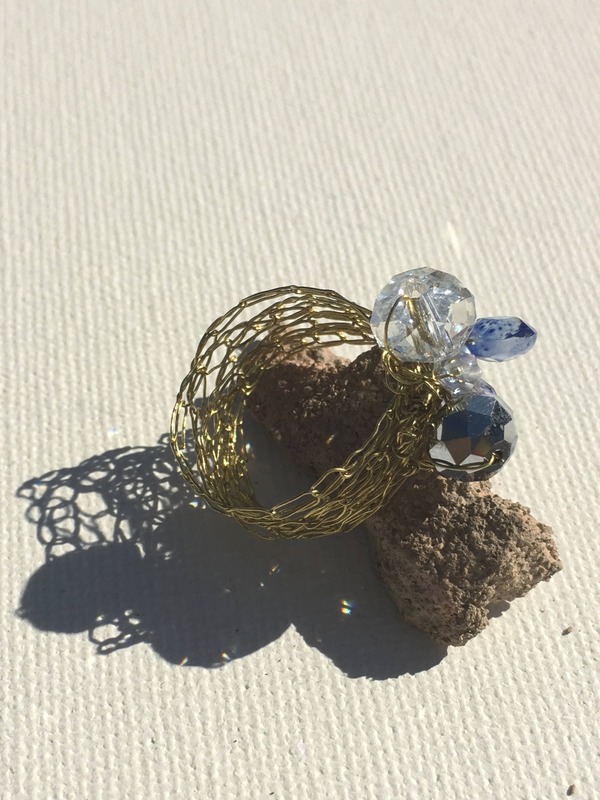 The band of this ring is made by wrapping a long thread of crocheted wire. The wire has been recycled from the wire net of some bottles of wine. 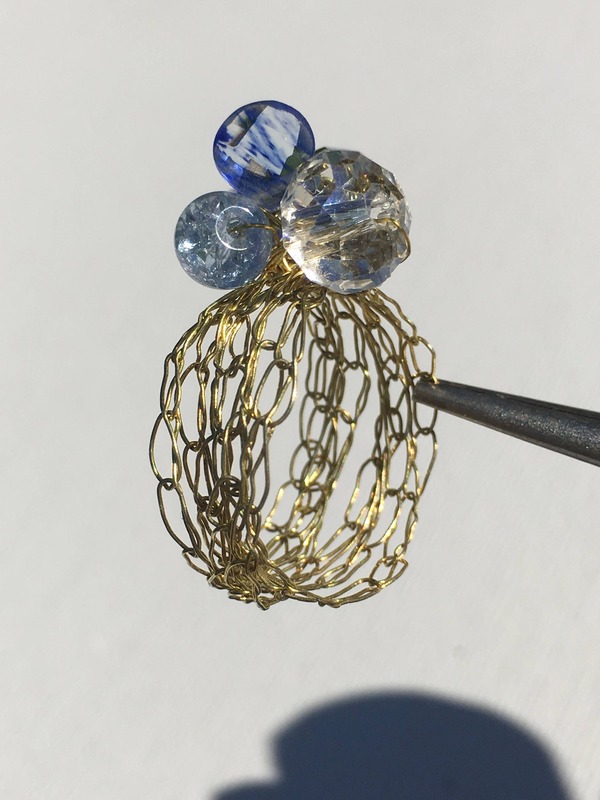 I used beads that came from either broken or discarded pieces of jewelry in blue, transparent and Czech glass. 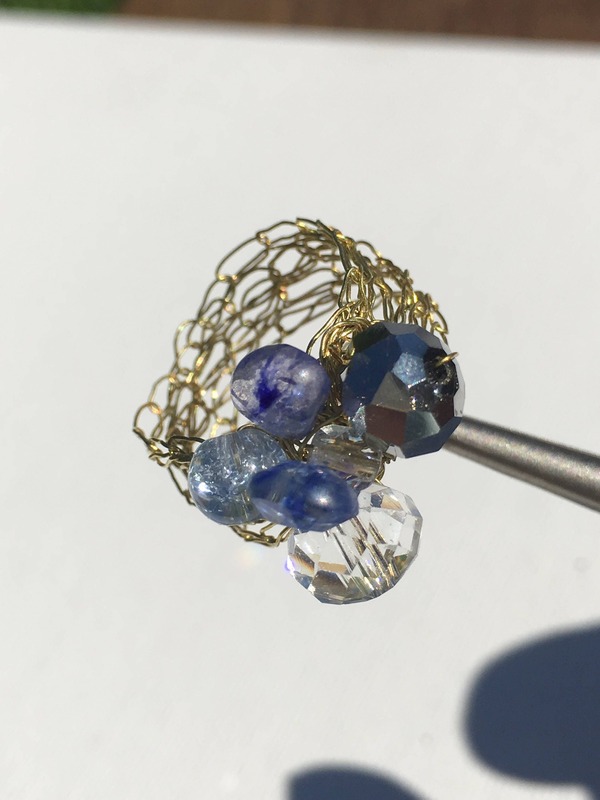 This piece can be tailor made with a different wire color, as well as a custom selection of beads for their color or shape. 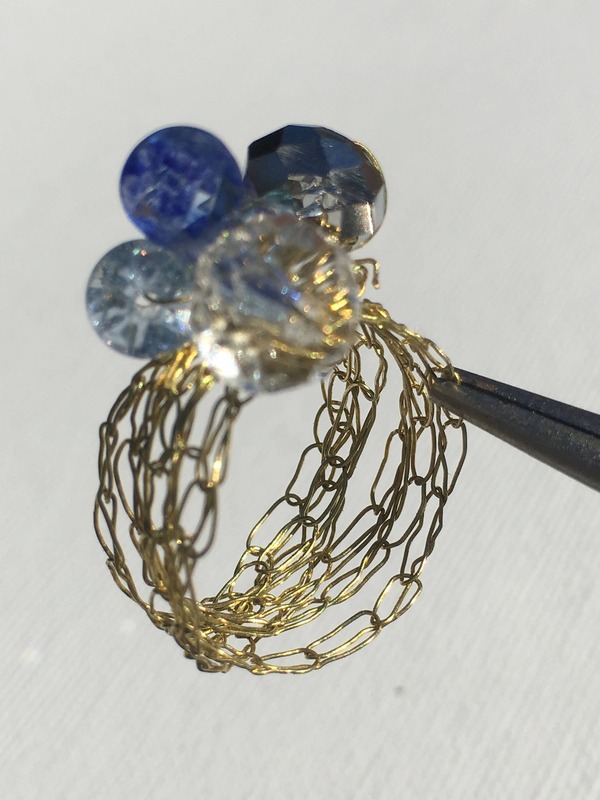 If you have a heirloom piece which is broken and beyond repair, we could make a ring with some of its beads or stones to keep as a memory.